Hokkaido Japanese Language Academy is located in central Sapporo. HJLA has a variety of curriculum where you can communicate with many Japanese people, and experience Japan through not only daily classes, but also events to learn proper Japanese as well as appropriate natural Japanese. They also have a wide variety of extracurricular activities through which you can experience life in Japan. 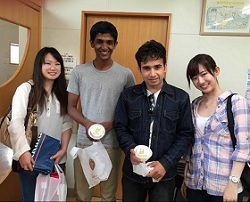 Hokkaido Japanese Language Academy Sapporo offers courses according to each purpose. HJLA have purpose-designed courses such as an Academic Advancement Course for going on to college or trade school, a Short-term Study Abroad Course for the objective of learning Japanese with sightseeing and something extra, also classroom and private lessons for students who live in Japan. Whatever the reasons why you want to study Japanese are, there is a course for you. For example: “I want to learn Japanese to understand the lectures at the university”, “I need to communicate in Japanese at work!”, “I want to talk to my Japanese friends in Japanese!” and such. HJLA is ready to welcome you and thus hopes that you will find a suitable plan. This course is designed with the aim to enroll in a Japanese college, graduate college, or various trade schools for long-term study abroad. 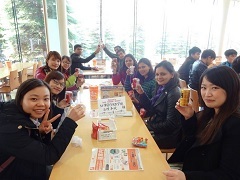 HJLA also has a short-term program which combines sightseeing and Japanese study. The course is for residents of Japan. HJLA can customize curriculum individually for each purpose such as learning everyday Japanese and aiming for passing a Japanese language proficiency test. Academic Advancement Course is for students who want to go on to Japanese college or graduate college after having studied Japanese from one and a half to two years. You can learn proper Japanese building up from the basics of four skills o f “reading”, “listening”, “writing”, and “speaking.” The school implements a curriculum for the Japanese proficiency test and Examination for Japanese University Admission for International Students, where you can learn necessary Japanese for college or graduate college. They also conduct career counseling and support each student in order for them to be able to go on to their preferred higher education institute. With a Short-term Study Abroad Course at Hokkaido Japanese Language Academy Sapporo Main Campus, you can not only learn Japanese, but also use practical Japanese, enjoy Japan, and feel Japan through experiencing Japanese culture such as flower arrangement and calligraphy, and many other extracurricular activities. The school’s friendly staff will support your stay in Japan with great care. Required Japanese skills Countries: Vietnam, Nepal, Mongolia, Myanmar, Bangladesh, and Sri Lanka, certification of Japanese study (150 or more hours) is required. Students from other countries can apply without a history of Japanese study. You can take the short-term course for 20 days, 40 days. Total flexibility. This is for those who have temporary visas. There are many ways to enjoy the beauty and diverse seasons of Hokkaido and HJLA makes sure that students enjoy them. 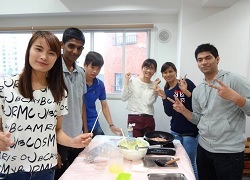 Hokkaido Japanese Language Academy Sapporo Main Campus provides housing at student dormitories within walking or biking distance to school in order to provide safe living conditions for foreign students. Please feel free to contact us if you are interested in the dormitories. Here is the estimated cost for one academic year at Hokkaido Japanese Language Academy. It is based on a shared room (23,000 yen/month). The estimated cost will be changed depending on how you stay.